American footballer Von Miller has sent every player in the AFC West – teammates and opponents – a bottle of wine as a thank you for being such great sports over the past few years. The Super Bowl-winning linebacker for the Denver Broncos sent a bottle of specially blended and bottled Cabernet Sauvignon and a note to the players who not only compete alongside him in Denver, but also to their divisional opponents in San Diego, Kansas City and Oakland – 289 people in total. As reported by the Denver Post, Miller acquired a barrel from well-known winemaker and die-hard Broncos fan, Jesse Katz; and the new winery in Sonoma with which he is involved called, ‘The Setting’. The wine’s label includes Miller’s signature but also the outline of an orange pair of glasses. Miller, despite enjoying a fearsome reputation as a defensive player in the NFL, is famously near-sighted and wears glasses when off the pitch – owning over 100 different pairs. 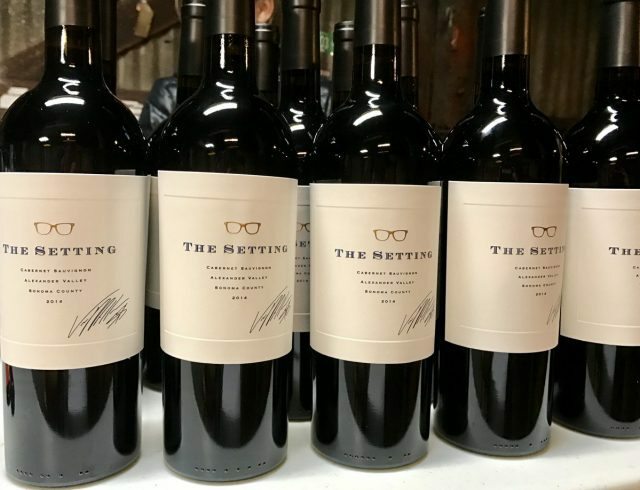 He runs a charity, ‘Von’s Vision’, for children in Denver with eyesight problems and Miller put a further 100 bottles of the wine up for sale in support of that cause. The first 100 donors to contribute at least US$500 would receive a bottle and every $20 raised would go towards a child receiving eye treatment. Players giving each other presents is not unusual but Miller said he’d been planning this particular act for a while. Having run through options covering “all types of stuff”, he finally decided, “the wine was about right”. Not that it detracts from his generosity but the gesture was well within Miller’s means. Having won Super Bowl 50 with the Broncos this February, in which he terrorised the Carolina Panthers’ quarterback Cam Newton all evening, Miller was named the game’s most valuable player and was doubly rewarded with a contract extension worth a guaranteed $70 million.